I’ve just turned 40 years old. That means that I’ve spent over 20 years thinking about my fertility. Sometimes my goal was to achieve pregnancy; other times I wanted to prevent it. Either way, I discovered there are many ways to monitor fertility naturally. The first day of your period is day one of your new cycle. During the first part of a woman’s monthly cycle, called the follicular or proliferative phase, the egg is maturing under the influence of estrogen. The estrogen continues to rise as the egg matures. When the estrogen reaches a certain level, it triggers the release of LH (Luteinizing Hormone), which causes the ovary to release the mature egg. The second phase of your cycle now begins, called the luteal or ovulatory phase. After the egg is released from the ovary the follicle that held the egg will collapse in on itself, becoming a corpus luteum. The corpus luteum produces progesterone for the remainder of the cycle. – It prevents any more eggs from being released that cycle. – It thickens the uterine lining in preparation for the fertilized egg. – It causes the cervical mucus to become infertile again along with changing the position and conditions in the cervix. Progesterone is a heat-producing hormone and causes a slight raise in your basal body temperature. Your temperature chart will show this temperature rise usually about 12-48 hours after ovulation. If no pregnancy occurs the corpus luteum deteriorates about 12-16 days after ovulation and your period begins. If conception does occur the egg will travel down the fallopian tube to the uterus, a journey that takes 3-4 days. It floats around in the uterus for a few more days and then attaches itself to the uterine lining about 7-10 days after ovulation. It then immediately releases Human Chorionic Gonadotropin (HCG) into your blood stream and signals the corpus luteum to continue producing progesterone and you will miss your period. It is HCG that home pregnancy tests (HPT) detect in your urine and you may get a positive as early as 9-12 days after ovulation. Wait until your period is late before getting tested. After you have charted your temperature for about 3-4 cycles, you will be able to determine when ovulation may occur and plan around it. If trying to conceive, you will want to do the “baby dance” during the days immediately before ovulation. If you are trying to avoid pregnancy, you should abstain for about 5 days before ovulation and about 2-3 days after. In order for the temperature chart to be of use to you, you need to take your temperature at the same time every morning before getting up, so if you have an erratic schedule this may not work for you. You will need a basal body temperature thermometer. It is more sensitive than a regular thermometer and can detect very small changes in body temperature. Most chart examples show 28-day cycles but know that it is not an indication of a fertility problem if your cycles are longer or shorter. What matters is that your luteal phase (the second part of your cycle after ovulation with the temperature rise) is fairly consistent in regards to the number of days from ovulation to menstruation. If you usually have a 13-day luteal phase you should see that same pattern within a day either way, every cycle. (Your luteal phase should be at least 10 days long, some doctors say 12, in order for the egg to implant and signal the ovary to continue production of progesterone. You may have repeated early miscarriages if it is shorter). The first part of your cycle when the egg is maturing, can fluctuate from 3 weeks to 5 weeks without alarm. It is not uncommon for women to ovulate on Day 14, Day 18, Day 21…. irregular cycles are common. Natural Family Planning also recommends that you include some other methods of checking fertility along with the temperature chart. You can check your cervical mucus as it can give you signs that ovulation is on its way. Leading up to ovulation, cervical mucus becomes fertile and will look much like clear egg white from a raw egg. If placed between a thumb and finger it will stretch quite far, 1-or more inches. After ovulation, this type of mucus goes away and becomes white and pasty, dry, yellow, or any combination of that. Reading cervical mucus signs can take a few cycles to learn. I have only given you a tiny bit of information on how to do it. You’ll need to read about this some more to know what to look for. You can also check cervical position. Close to the time of ovulation the cervix becomes softer, moves higher, and opens up. After ovulation, it moves back down and becomes hard and closed. Wash your hands before checking your cervix. Another way to monitor fertility, and an expensive one, is ovulation predictor kits (OPKs) They have become the rage for women trying to conceive. A kit usually contains about 5 tests and costs $15 or more. You use one a day around the time you expect ovulation to occur. They look much like pregnancy tests. You dip the stick in your urine and lay it on the counter and wait for the results. You will see a control line show up as the urine moves across the window. You will also see a second line, called the test line, as ovulation approaches. An ovulation predictor test differs from pregnancy tests in that with a pregnancy test even a faint test line is positive and indicates that HCG has been detected and you are likely pregnant. With OPKs, the test line needs to be as dark or darker than the control line to show that ovulation is imminent. I found OPKs to be a waste of money. I have irregular cycles and so I could easily run 10-15 of these per cycle before I got a positive. It was draining my pocketbook using these each month and I found it much easier to keep a temperature chart and monitor other signs that ovulation was approaching. Not using OPKs left some of the fun and spontaneity in doing the baby dance since I wasn’t quite sure when the egg was going to arrive. Of course, using the saliva detector is much cheaper and easier to use so why waste your money. Check out http://www.fertilityfriend.com. which allows you to record your temperature every day. It also asks you what your cervical position is as well as what your mucus is like (you can choose not to monitor those if it makes you feel uncomfortable) among other questions. It will tell you when you are fertile each cycle, when to test for pregnancy, it will alert you to signs that you may be pregnant, when the baby will be due, along with other valuable information. I have charted on paper (which works very well too) for years and I still learned new things on fertilityfriend. You get 30 days free so try it at the beginning of a new cycle. By the end you’ll have a much better understanding of your fertility. If you decide to continue with on-line charting you are offered a membership at $10 a month, $25 for 90 days or $45 for indefinite use. You can continue to use it free but with less options. It’s fun and you’ll learn a lot. BabyMed.com provides a similar free service. One method is by using a tiny hand-held microscope used to view saliva to determine your fertile period. These microscopes are about the same size as a tube of lipstick so you can carry them around in your purse. The simplicity in this method of testing is wonderful. No more collecting urine for ovulation predictor kits. With this tiny microscope, you simply lick the lens and wait 10 minutes for the saliva to dry; then view your results. A woman’s saliva changes in the 3-4 days leading up to ovulation. During those few days electrolytes (or salts) increase dramatically in body fluids (e.g. cervical mucus and saliva) along with the hormone estrogen. This causes a ferning-like pattern to occur in dried cervical mucus and saliva. The ferning is caused by the dried salt and looks much like the frost seen on the window on a winter morning. A few days before ovulation you will start to see small lines about the width of a hair and about 1/4 of an inch long. There may be just a few or there may be many of them. The quantity is not as important as the presence of them. You are now approaching ovulation. You should now test at least two times per day. Soon you will see the presence of more lines and they may become longer. The patterns may take different shapes, i.e. : veins in a leaf, snowflakes, spider’s web, frost on a window pane. The lines will connect and overlap, this is the ferning pattern you are looking for. This means you are starting the ovulation process and now is the best time for relations. Continue to test at least two times a day. On any other day in the cycle the dried mucus or saliva will look like random unconnected dots. The fertile type ferning will return to a dot pattern usually about 2-3 days after ovulation. Some women report no ferning the day of ovulation, you will learn what is normal for you after a few cycles. When a combination of dots and ferns are present it is called a “transition” pattern; the woman is less fertile, but conception is still very possible. A little hint; don’t wait until the last day of ferning to do the “baby dance” as you may have missed the egg since ferning may continue for 2-3 days after ovulation. If you wish to conceive, have relations as soon as you see the fertile ferning and continue until it passes back to the infertile dot pattern. Researchers have been studying the changes in cervical mucus during a woman’s cycle since 1945 and fertility clinics and doctors have been using this method of determining fertility for decades. In 1969, Dr. Biel Cassals, a Spanish gynecologist, studied the crystallization of saliva. In 1971, he developed a microscope to check for ferning in saliva. Since then many handheld microscopes have appeared on the market and range in price from about $29.99- $60 on average. Along with checking saliva for ferning you can use other fertility signs to either avoid or achieve pregnancy. The Natural Family Planning method includes using a temperature chart that records your basal body temperature. Your basal body temperature is your body’s temperature at rest. This chart can help you determine if you are ovulating each cycle and about when it happens. At first, Natural Family Planning may seem like a lot to absorb and you may feel like taking a birth control pill is much easier. It does become easier soon enough though as you practice, and think of the benefits of keeping man-made hormones out of your body. If you want to minimize the amount of time spent looking for signs of fertility, I suggest using the saliva detector and keeping a temperature chart. It’s reassuring to know where you are in your cycle. There is quite a bit of information on Natural Family Planning whether you are using it for contraception or to achieve a pregnancy. The book I’ve heard most women refer to is Taking Charge of Your Fertility by Toni Weschler. It has color photos of cervical mucus and a blank master basal body temperature chart. Once you’ve read this book, you’ll be well on your way to monitoring your fertility and may become pregnant if that is your goal. This site http://midlifemom.com/ offers information and support on mid-life pregnancy, empty nest syndrome, menopause, and many other issues related to the aging mom. If you find yourself pushing 40, and either already are or about to become a mom, come right on in, because you’re in good company. Hello! Thanks so much for the informative article. I just bought a Saliva OPK and am using it daily. However, I usually have more time in the evening. Last night, after not eating/drinking for 3 hours, I had full ferning, but did not have a chance to BD. This morning there was less of a pattern. Did I miss my window? My urine OPK is a blazing negative… not even a hint of a line. The Ovulation Microscope (saliva) and OPK test strips (urine) are both used to detect luteinizing hormone surge, which helps to let you know that ovulation may happen. They don’t predict ovulation, they signal it may happen for you. The “ferning” pattern in saliva and the test band (equal to or darker than the control band) on a urine OPK test strip appear if testing is done properly before ovulation occurs (if it is going to occur). In general these signs are both indicators of the fertile window and that ovulation may occur (with OPK test strips (urine) this is after 24-48 hours following a positive test). A woman’s fertile window is the two days prior to and day of ovulation (even the day after really). I can not be certain you missed your window. I find your website amazing and filled with a lot of information, I visit everyday there is so much to read. I am 29yrs old, my husband and I have been trying to conceive for the past 3yrs naturally which proved unsuccessful. I visited my Obgyn and was told I have PCOS. Since the last 3mths I’ve been on clomid 50mg-150mg, metformin and folic acid, each time on day 21 of my period the doctor had me do progeterone tests which proved that I am not ovulating, she said i’m at 1 and1.5 and I need to be at 15. She suggested increasing the clomid dose to 200mg for this mth (my period was due on 15/4/11 not here yet) and if that does not work then I should consider ovarian drilling or IVF. I decided not to go through with it and to try the Fertility Cleanse, then the PCOS kit along with evening primerose and the pregnancy prep tablets. Do you think this will help me in becoming pregnant? I get depress everytime knowing that I’ve not conceived within the past month I so desperately want to become a mom. Could you explain to me “Luteal phase” and what mode my body is in during this time. Also, do you think it’s an issue for my husband 22yrs older than I am to hinder my chances of becoming pregnant? I await your response and any additional information you may have to offer. Keep up the wonderful work you both are doing in helping us women who have it so hard in conceiving. I am so sorry for the delay, I have had a ton of work and we are a bit backed up:) Thank you for your patience. In a normal functioning follicle, the estrogen levels rise and signal the pituitary gland to release Lutenizing Hormone (LH). LH signals the follicle to open and release the mature egg, this is ovulation. After ovulation progesterone production is triggered by Luteinizing Hormone (LH) which stimulates the corpus luteum (the remnant egg sac) in the ovary to produce progesterone. One of the main actions of progesterone with fertility is to help support a developing embryo. If pregnancy occurs, the production of progesterone from the corpus luteum continues for about 7 weeks (it is then produced by the placenta for the duration of the pregnancy). If pregnancy did not occur, the period begins 14 days after ovulation. When fertilization does not occur the corpus luteum disintegrates, which causes the level of progesterone to fall and the endometrial tissue to disintegrate and shed as menstruation. The luteal phase is the latter half of the menstrual cycle: after ovulation. Age in men can play a role in their fertility as well. The most important key factors to look at with Sperm Health are diet, exercise and lifestyle habits. If he does not take care of his health his fertility may suffer. The products you have chosen sound like a great start, but without knowing more about you it is hard to say. 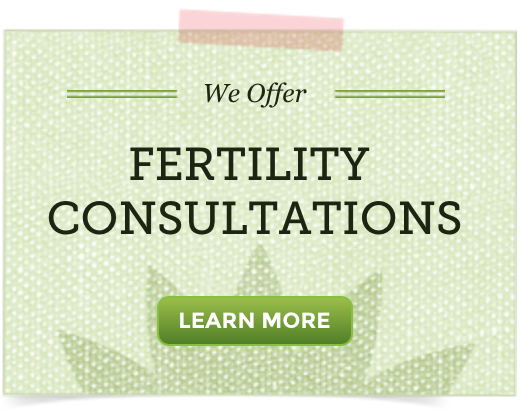 Have you considered a natural fertility consultation? If you have not yet read our PCOS page I highly recommend it! This may help you to understand the best diet changes and natural remedies for PCOS. Natural remedies take patience and time! Try not to get discouraged, take it day by day! We appreciate your support! 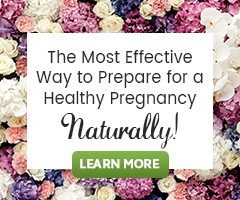 If you are looking for even more support, please join our Natural Fertility Community! me and my husband hve been ttc for a little over two years. i have a cycle every month, its never been late, still no baby. im wondering if i take the cleanse will it help to increase my chances? Because you have a regular cycle you may want to consider learning how to chart your cycle. This will help you to know the best times to try and conceive. Couples who have been trying over a year with no success are often guided to get fertility testing done to determine if their is a problem. There is an equal chance that male factor infertility can be the cause of not getting pregnant as much as a fertility issue being with the woman. So you may want to talk to your husband about getting his sperm count and quaility tested. Is it possible to take fertility prep + conception tea ?,or this combo is to strong ? I am not sure what fertility prep is, maybe you mean Pregnancy Prep? If you mean Pregnancy Prep it has been shown safe to combine those herbal supplements. I just purchased the Fert. Cleanse on recommendation from a friend. I was diagnosed with Premature Ovarian Failure 5 years ago and after a devestating blow, I’ve decided to take control on my body back. So basically, high FSH/LH, low estrogen/no viable follicle production. I’ve been put on HRT where I’m on estrogen patches and take progesterone to get my cycle going each month. I started Maca 2 days ago and I’m waiting for the cleanser to come in. Any other advice you can give to get my body back into health? Be sure you are eating really well! Join our 21 Day Fertility Diet Challenge! and another thing is every couple compatable to make children? The scar tissue may be contributing to your difficulty becoming pregnant. Your ovaries switch back and forth each month when releasing the egg, so the left is one month, the right the next. If one tube is blocked you may only be ovulation every other month, giving you less chances to conceive. During ovulation there is only a 3 day time frame in which you are fertile out of the entire month, so timing is very important. I know many women with only one active ovary and they have gone on to have many children, so it is still possible for you. Have you considered having your husband get tested as well? If your partner has low sperm count or any other fertility issues, this will decrease your chances as well. There is a 50% chance that he may be having fertility issues as well. As to your question about couple compatibility, there is no way for me to know that. Every human is unique and we all come with different challenges. We do not recommend trying to conceive during the Fertility Cleanse. Also, it is not recommended to cleanse while breastfeeding. Your website is simply amazing. I am finding a lot of good advice. My husband and I have been trying now for two years. My question to you is what can i take that would increase my cm. And what if any or the symptoms of ovulation. I don’t think I am ovulating because i have not had any cm in quite a long while. Thanks for your time. You may also want to learn how to use a Fertility Microscope to help you learn when you are ovulating. Just because you don’t have any cervical mucous does not mean you are not ovulating. Thank you for the explanation. It makes a lot of sense; and I will be sure not take vitex during my period. I was just wondering if anyone knows specifically why you cannot take vitex during your period? What will happen? Just curious since I take vitex. Vitex increases luteinizing hormone production while mildly inhibiting the release of follicle stimulating hormone (FSH). This indirectly boosts progesterone production. This helps to maintain progesterone levels and may help to maintain pregnancy. If pregnancy occurs, the production of progesterone continues from the corpus luteum continues for about 7 weeks (it is then produced by the placenta for the duration of the pregnancy). If pregnancy did not occur, the period begins 14 days after ovulation. When fertilization does not occur, the corpus luteum disintegrates which causes the level of progesterone to fall and this causes the endometrial tissue to disintegrate and shed as menstruation. This fall in progesterone is natural if fertilization did not occur, you want this to happen so that you can menstruate and have a healthy cycle. We feel that when you are bleeding during menstruation this is a time of natural cleansing, a time to let your body rest and cleanse on its own. Adding herbs during that time may add unecessary work or stress that may urge your body into trying to produce the wrong hormones at the wrong time or figure out what to do because it is being given the wrong signals by taking the herbs at the wrong time when it is working hard to clense the old blood and uterine lining and start a new cycle all over again. I can not answer questions about how your uterus will recover from the medications as I am not a doctor and am not familiar with the medications you are on. A supplement you can do some research into and talk to your doctor about is L Arginine. L-arginine is an amino acid that has been shown in studies to increase ovarian response, endometrial receptivity (growth of uterus lining), and pregnancy rates in IVF patients who supplemented with L-arginine. (Published in Human Reproduction 1999). We suggest talking with your doctor about this. There are two formulas and one therapy that are helpful for adhesions and scars. My question too is weather i can continue to take Maca or a Superfood alongside an IVF injections or prescribed tablest. Without side effects. It is best to use herbs in preperation, before fertility procedures. It is best not to take herbs and IVF medications, we do not know how they will react with one another. I do not know if it would, but I think it would be something worth talking to your doctor about. There is a lot of evidence and studies on systemic enzymes you could show to them. Thank you, I am glad you are finding the site helpful. Wow, tons of good info here! Very thorough! May I know if I were to take MACA from now till I go for my IVF in August, then when must I stop taking it. Should I take it even though I’m taking the GonaF injection for the IVF? I’m confused and want to find out more…..